Beautiful as they may be, the true meaning of special places comes from human experience, interpretation and understanding. Therefore the communities’ sensibilities ought to be reflected in the planning, design and management of old and new places. We don’t ask communities to design. Rather, through careful facilitation, they provide their knowledge and inform our brief – they are the experts on their locality. We then continue the dialogue of ideas and options to reaching a desirable and deliverable outcome. 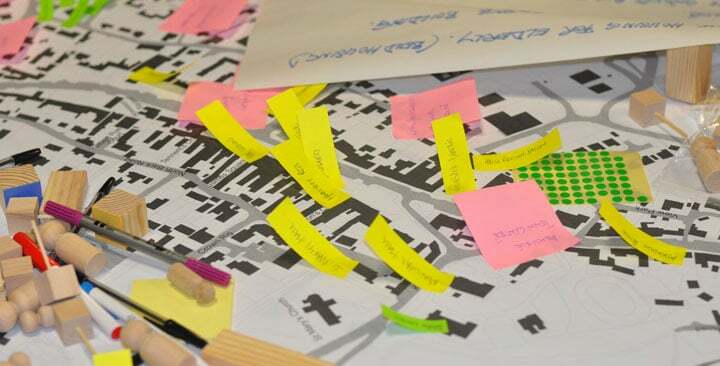 The plan-making process can take months, but place-making takes years – that is why it is important to engage with a range of participants of different ages and perspectives. To do this we use a wide range of tools to involve communities and ensure that the delivery agencies are part of that process. Empowering a community to accept and guide change is a privileged, yet crucial role, for adapting positively to circumstances is one of the key ingredients of successful communities.